Saturday night brought one of my favorite things to town. Every two years is the CONCACAF Gold Cup which is the soccer championship for North America, Central America and the Caribbean. Luckily North Texas always seems to get awarded some wonderful matches. Thanks to my website Soccermogul I can get media credentials to all the games. That means press box, field access, press conferences and even the closed training sessions the day before the games. 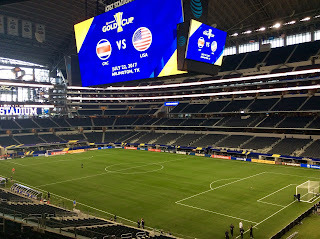 Last weekend I attended the Group A doubleheader in Frisco watching Costa Rica, Honduras, French Guyana and Canada play. 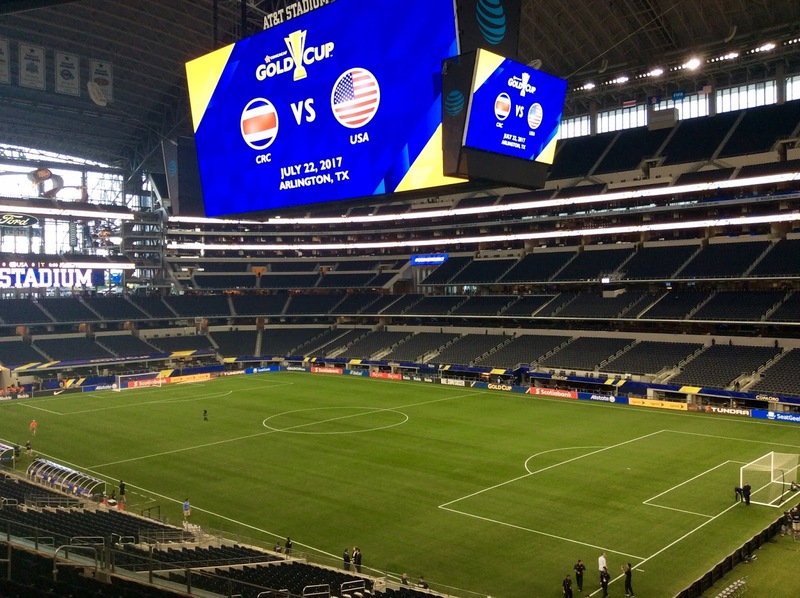 Now that was a lot of fun but the real treat came the next weekend when AT&T Stadium hosted a semifinal match between the United States and Costa Rica. Living only twenty minutes from Cowboys Stadium is quite a luxury as well. The day before the big game I ran over to the stadium to attend all the pre-match events. 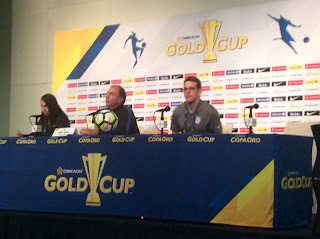 At 4:00 I sat in on the USA press conference and listened to US coach Bruce Arena deal with the media. After the press conference we were allowed on the field to watch the US training session. The field players were a ways away, but Tim Howard and the goalkeepers sat up training right in front of me which was really cool. After that I went back for the Costa Rica prediction conference. 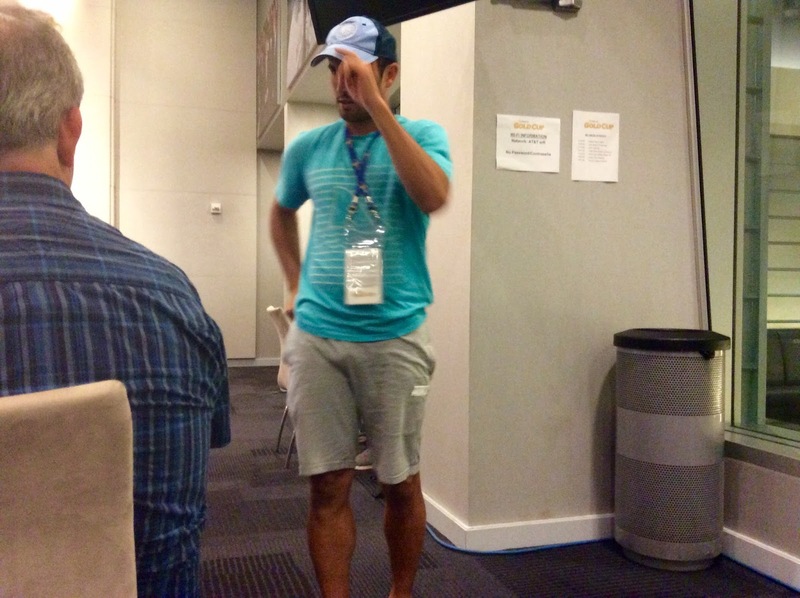 My goal wasn't to hear the coach but to run into a certain American soccer legend. Yes that's THE Landon Donovan and we even spoke briefly. Made my day as he is the greatest American soccer player ever in my book! Saturday was game day. It was a late kickoff (9pm for some reason). Of course I got there early to get some pictures. I had a front row parking pass and the media dinner was at 7:30. Salad, some mexican chicken stuff, some yummy jumbo shrimp in some other Mexican sauce and chips with guacamole. Not bad at all. Then it was time to get serious. The teams took the field for warmups and the electricity began filling the air. It was a sea of red as both fan bases were dressed in the same color for the most part. Hopefully the match would live up to the hype. Bruce Arena threw a very attacking lineup with Joey Altidore, Darlington Nagbe and Jordan Morris. Notably missing was Clint Dempsey. What a game it was. Scoreless into the second half where Coach Bruce Arena brought on local hero Clint Dempsey who would turn the match on its head. A Dempsey pass would set up Jozy Altidore's go ahead goal and then Dempsey would score the second with a well placed free kick. Over 45,000 celebrated wildly as the US booked their place in the Gold Cup Final. A fun night in Arlington for sure! 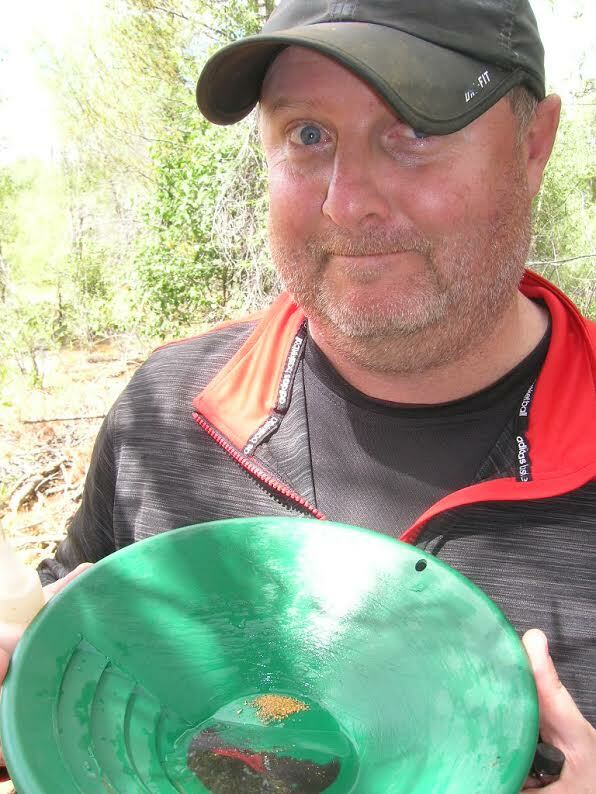 I can't wait for Gold Cup 2019! After the final whistle I headed down to the USA locker room and got some pictures during the player interviews.